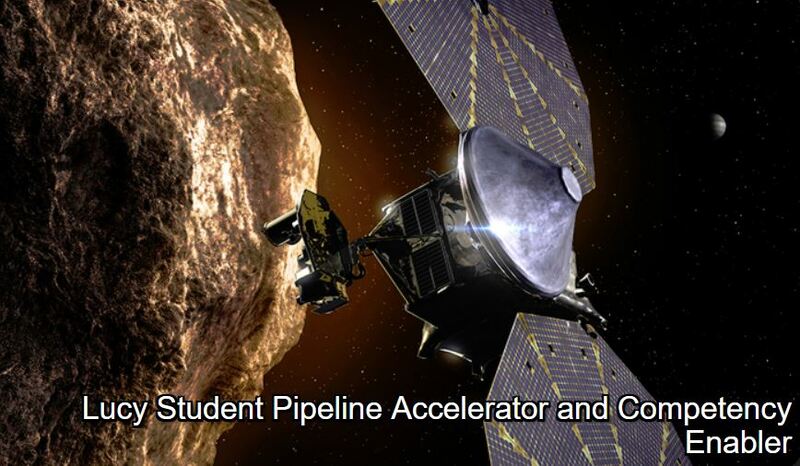 NASA’s Lucy Mission to Jupiter’s Trojan Asteroids is currently accepting applications for its new student collaboration program – the Lucy Student Pipeline Accelerator and Competency Enabler (L’SPACE) Virtual Academy. This interactive, team-based, 12-week program is designed to engage a diverse population of undergraduate college/university science and engineering students in rigorous, project-based STEM workforce development. Cost: Free! You invest your time, passion, and dedication to participate! The applications are due January 10thand selected participants will be notified of acceptance by January 14th. The Spring Academy – Level 1 will occur on Thursdays and start on January 20that 4:30pm PT, 5:30pm MT, 6:30pm CT, and 7:30pm ET.